Teachers in Iran are being suppressed and denied their rights, including a fair pay. Many teachers have been arrested and are imprisoned as a result. October 5th marked the 70th anniversary of the anniversary of the Universal Declaration of Human Rights that established education as a fundamental right. It was also World Teachers Day, a day set aside to honor teachers and their valuable contributions to the future of society. On this occasion, imprisoned Iranian teachers Esmail Abdi and Mahmoud Beheshti Langeroudi, both of whom are currently detained in Evin Prison, penned an open letter to Iran’s teachers. MEK sources inside Iran report that teachers live under the poverty line and that those who form unions to stand up for their rights are jailed and prosecuted. According to human rights advocates, a number of teachers are currently imprisoned for exercising their right to protest. 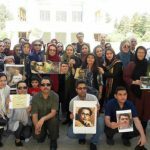 On World Teachers Day, activists held a protest to help draw attention to the plight of these imprisoned teachers. 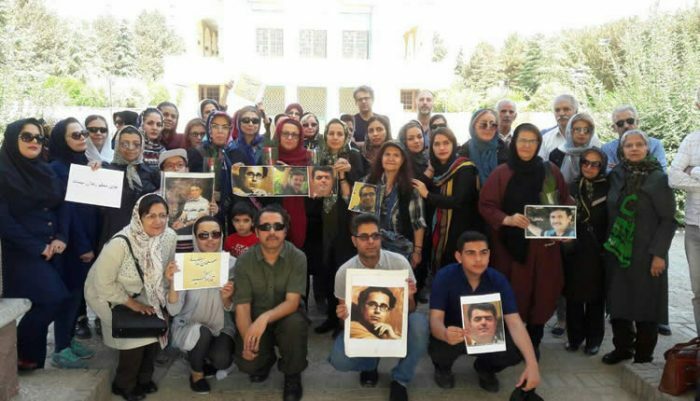 A video on social media shows a female teacher with a sign saying, “Esmail Abdi must be released.” Other protesters can be seen in the video holding pictures of jailed Iranian teachers. “Every year, the budget ratified for education only suffices to pay for basic expenses and the teachers’ salaries, which are already half the poverty line,” said teachers’ activist Mojgan Bagheri in a September 26th interview with the state-run Salamat News website. Teachers in Iran are paid poverty wages, and most work on temporary contracts. Teachers do not receive benefits, and they frequently go for months without receiving their salaries.